If you are in any size shape or form involved in ballet, I most highly recommend that you chasé right on over to Kathryn Morgan’s YouTube channel (www.youtube.com/user/Tutugirlkem). Morgan followed the path of a prodigy during her youth. She moved to New York when she was 15 to train at the School of American Ballet, and joined New York City Ballet just two years later at the age of 17. After being cast in several leading roles to critical acclaim, she was promoted to soloist, again just two short years after she joined the company. But this prodigious path diverged when she was diagnosed with a very complex and devastating thyroid condition. This forced her to leave New York City Ballet. This entry was posted in Art, Teen Powered and tagged ballet, Dance, written by teens on October 24, 2014 by Teen Blogger. I never made it past my weekly dance classes as a six-year-old, but I have friends who spend every day after school dancing for hours. It takes years before they can go “on pointe,” and after that it takes weeks to master each difficult pirouette and jeté. It is an art of perfection and that is no easy feat. What are the dancers in Degas’s paintings really thinking? As I attend the ballet this winter and settle into my plush seat, out of the cold, I’ll remember the dancers in the 15th century, creating the art. I’ll think of the aspiring ballerinas of today, putting in four hours daily to perfect the moves. There’s so much more than what we see on the stage. This entry was posted in Movies, Teen Powered, Tidbits and tagged ballet, Comics, documentaries, Movies on January 9, 2014 by Teen Blogger. 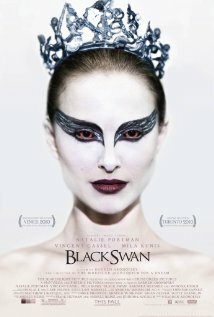 There are now two pieces of media that I know of called The Black Swan. And they are a book and a movie. The latter came out in the fall of 2010, and the lead actress is Natalie Portman. It is a psychological thriller, and although I know a few teens that saw it, the movie well deserved its R-rating. The images were terrifying at times, and Nina’s descent into madness provides a sharp contrast to the apparent beauty of ballet. 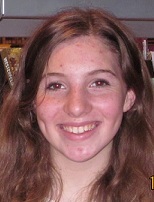 This entry was posted in Movies, Read This!, Teen Powered and tagged ballet, Book Reviews, Movies, Teen Book Reviews, teen movie review, written by teens on June 4, 2011 by Teen Blogger. Pacific Norwest Ballet’s current production of George Balanchine’s A Midsummer Night’s Dream is undeniably a dream. Having had no experience watching ballet in the past, it served as both a lovely introduction and an excellent way to spend last Saturday evening. This entry was posted in Art, Community, Opinions, Teen Powered and tagged ballet, written by teens on May 7, 2011 by Teen Blogger. Are you interested in doing ballet but don’t want to go to a really serious school for it? You just want to do it for fun? Well I take ballet at Ravenna Eckstein Community Center. My teacher there, Miss Chloe, teaches kids from ages 3 to 15. Right now I am her oldest student and I am 14. She has different levels and each level has an age group. I am in the highest level, Ballet 4. My level also has the least number of people; this year I have 3 people in my class. At the end of the fall session there is a small winter concert. In that concert everybody in her classes does a short 2-minute dance. Then at the end of the spring session there is a much bigger spring concert. Still each class does a short dance. Both shows are optional. In class Miss Chloe is pretty easy-going. We start class with flex and point. After that we stand at the bar and do plies. How complicated the plies are depends on your level. Next we do tondues, piques and jutes. And, same as with the plies, the number of moves incorporated depends on your level. The younger classes get to do free dance at the end of class sometimes. The older kids do not but we do take turns and jumps across the floor and the stage. If Miss Chloe has known you for a long time she may ask you to demonstrate for one of her younger classes. If you have a younger sibling you can imagine how hard it is for her to manage her younger students. Miss Chloe doesn’t try to prevent you from moving to a ballet school if you want to. Actually she kind of encourages it. She is also really easy to talk to. So if you are interested in starting ballet come join me and the rest of Miss Chloe’s students at Ravenna Eckstein Community Center on Wednesdays or Fridays or both! Here are links to some books and dvd’s on ballet, to help you make up your mind. This entry was posted in Art, Seattle, Teen Powered, Tidbits and tagged ballet, community centers, written by teens on March 24, 2011 by Teen Blogger.